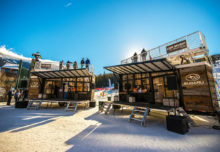 Canon transformed a corner of sunny Los Angeles into a wintry scene with hundreds of pounds of real snow and artificial flurries produced on-site for the Let It Snow Globe spectacle. 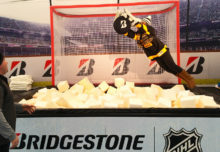 The Dec. 13 event featured a three-story snow globe, a life-sized gingerbread house, ice sculptures, elves, Santa, a reindeer and more, all in an effort to inspire consumers to reach for a Canon camera and, perhaps, add one onto their holiday wish lists. Hollywood actress Bryce Dallas Howard and her father Ron Howard, longtime partners of the brand, greeted guests and posed for pictures with the crowd. The high-touch experience drove trial and engagement in a family-friendly environment. Attendees could borrow Canon cameras to capture images of the scene and then print out holiday cards using Canon PIXMA printers. Touch-and-try stations educated attendees about the cameras and lenses. Canon experts and brand ambassadors also were on hand to assist and explain. Guests learned how to take portraits at Canon’s Holiday Card Studio, how to capture ice sculpting with a zoom or macro lens, how to use full HD video to capture Canon’s Polar Express holiday train and adjust aperture and ISO settings in the gingerbread house for low-light shots. Using cloud technology, they also could see a video of their holiday wishes printed at Santa’s workshop with the North Pole PIXMA app. 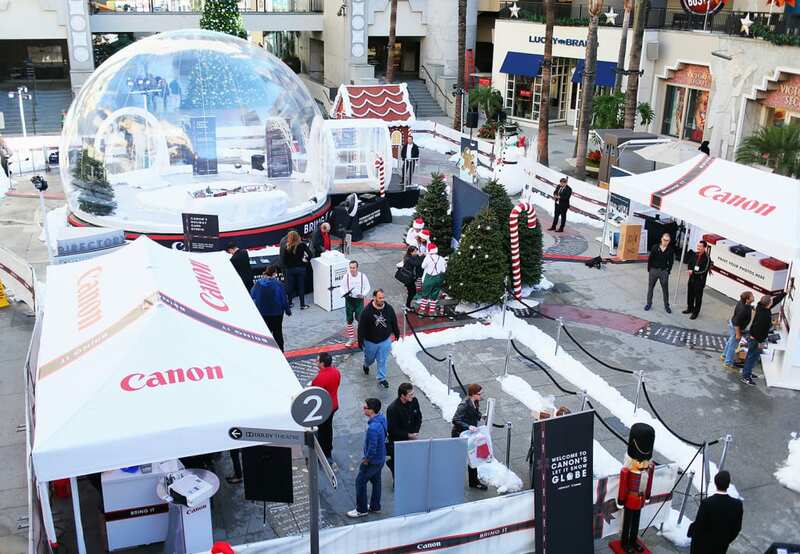 “Our ‘Let It Snow’ globe event was a way for more than 1,000 consumers to get up close and personal with our Bring It campaign, which encourages camera users of all levels to ‘bring it’ with their creativity and literally bring Canon cameras and lenses to capture moments of this holiday season,” says Michelle Fernandez, director of marketing at Canon USA. The campaign, which rolled out in May, includes a microsite that serves as a gallery for consumer-submitted images. Agency: GREY Activation and PR, NYC.